Six days after Pakistan Army began massacring its own people, a meeting on the East Pakistan Crisis was held in the White House Situation Room. It was chaired by Henry Kissinger, the US National Security Adviser and President Richard Nixon’s right-hand man when it came to the American foreign policy. Kissinger, a former Harvard academic, was brilliant, ruthless and extremely powerful. Perhaps the most controversial figure in the American foreign policy of the time, he was an ardent worshipper of realpolitik in foreign policy, which often translated to celebrating cold-blooded calculations. This detached statement perfectly represented the American attitude towards the East Pakistan genocide. And it was about to get worse. Within a month, US will shed its disinterested neutrality and will actively begin aiding Pakistan in the massacre. Why? 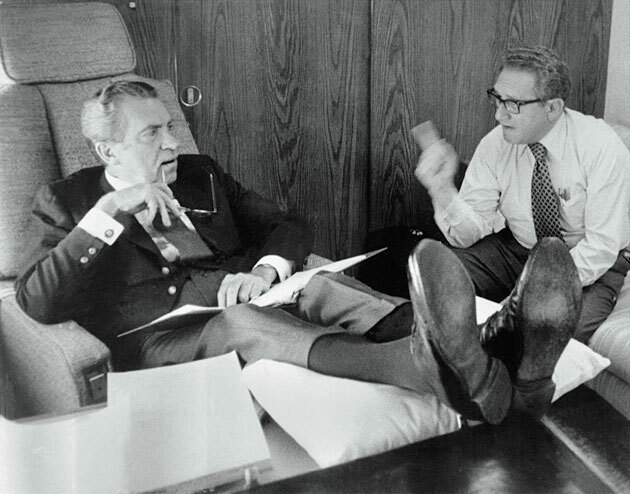 Because Nixon and Kissinger were secretly working on a project to change the world.